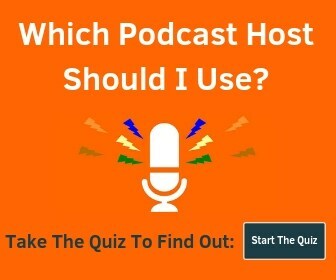 Which Podcast Host Should I Use? They usually let you sort by genre, mood, tags, and other methods to filter and find the style you’re looking for. Incompetech is home to thousands of Creative Commons tracks that are free to use for a link. Paid for licenses are also available if you don’t want to give credit. You will no doubt have heard many of these as the site is one of the most popular for free music. Silverman Sound Studios has very high-quality production, and 100% free to use music for the price of a credit. They make it easy to filter and preview tracks to find exactly what you’re looking for. You can also get a non-attribution license for a small fee. Free Music Archive collects music from hundreds of artists around the world. If you’re looking for free podcast intro music, there are thousands of tracks to browse through if you have the time. And as the name suggests, they’re all totally free to use. Bensound is another site with very good quality music, and an easy to use interface. The tracks are free to use for a credit, but again non-attribution license options are also available. Audionautix has lots of good background music that is free to use with a credit. The music is good music, but the interface isn’t the best for searching. Purple Planet has loads of tracks that are easy to search. They also do bundles which can be very handy if your podcast has an ongoing or seasonal theme. The tracks are free for a credit, or you can pay a small fee for a license. Icons8 have just started a free music resource where they have a handful of 320kbps MP3 tracks available for the price of a link. If you want WAV files and no attribution requirements, you’ll have to pay $20/month. Free PD hosts a good amount of music that is totally free to use however you like, as it’s all in the public domain and copyright free. Audiojungle deals only with paid licenses, but if you have the budget there are hundreds of thousands of tracks, jingles and sound effects available. Pond5 is also a paid-for license but is worth looking at if you have a decent budget. Very nice interface for finding the exact style you need. I know a lot of people use this for YouTube videos. ZapSplat has thousands of free sound effects all grouped out logically so you can find what you need quickly. Credit required, or you can use as many sounds as you like for a small monthly or annual fee. Freesound is a bit hit and miss as it doesn’t appear to be curated. But if you have the time you can unearth some real treasures. Free to use with a credit. Soundbible a lot of decent sound effects to be found here. Free with credit. There are tons of other music and sound effect sites out there, with new ones popping up all the time. When you get music from any of them, just be sure to take a close look at the license so you don’t find yourself in trouble later. I also wrote another resource on podcast music for Buzzsprout if you want more ideas. Lastly, if you’re looking for a professional intro, outro, or bumper, Music Radio Creative specializes in exactly this. 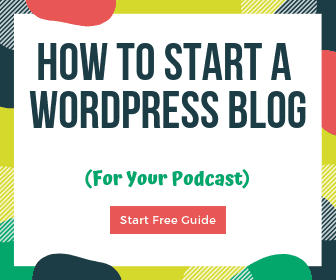 Get a free $20 Amazon gift card when you pay for Buzzsprout podcast hosting!